I still don't really understand the name, but I've got to admit it: I love a bit of Depop! One of the (many) problems with living in the UK is the lack of availability of some pretty popular makeup brands, particularly if you don't happen to live in the London bubble. 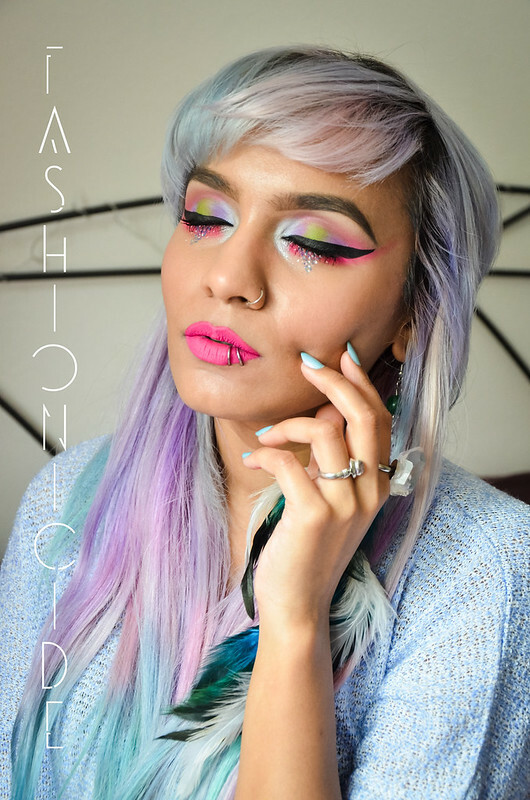 If you want to get hold of the likes of Lime Crime, Jeffrey Star, Kat Von D or LA Splash in the UK - though it's possible - it's not exactly straightforward. This is where Depop comes into its own! These difficult-to-obtain brands are always popping up on Depop, sometimes at extortionate prices, but mostly much more fair and reasonable. I was trawling through the app looking for something by Kat Von D, nothing in particular, just something, because I'd heard so many good things about the brand I just wanted to see what all the fuss was about, without having to make a big fuss trying to get hold of something! 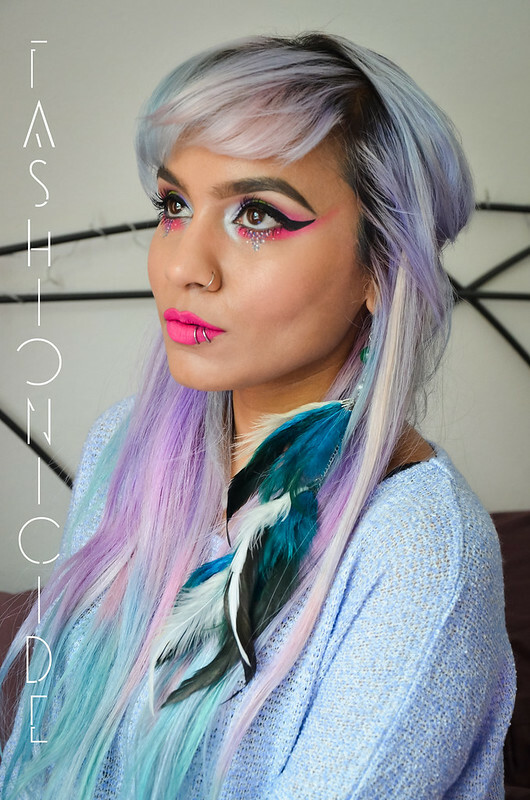 I found the ambitiously named Everlasting Liquid Lipstick in 'Backstage Bambi' shade for an absolute steal at £5. Yes, Five Pounds Sterling. Obviously when it arrived I was so excited, I did the usual blogger thing of having a spontaneous photo shoot featuring just the item I'd just received. That aside, I was a little surprised at just how much slimmer the tube was than the multitude of liquid lipsticks I've tried in my time. My first thought was this was some kind of deluxe sample, hence the price, but I can't be sure as I don't have the liptick anymore anyway. No I haven't finished it off, I gave it away and you'll find out why! 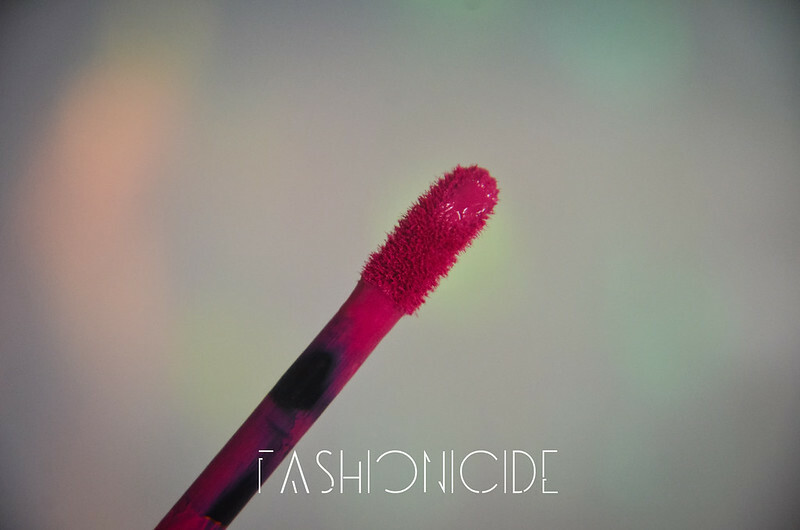 Just like any liquid lipstick worth its salt, it comes with a doe foot applicator, one of the reasons I love them, it's just so much easier to apply to the lips with precision. 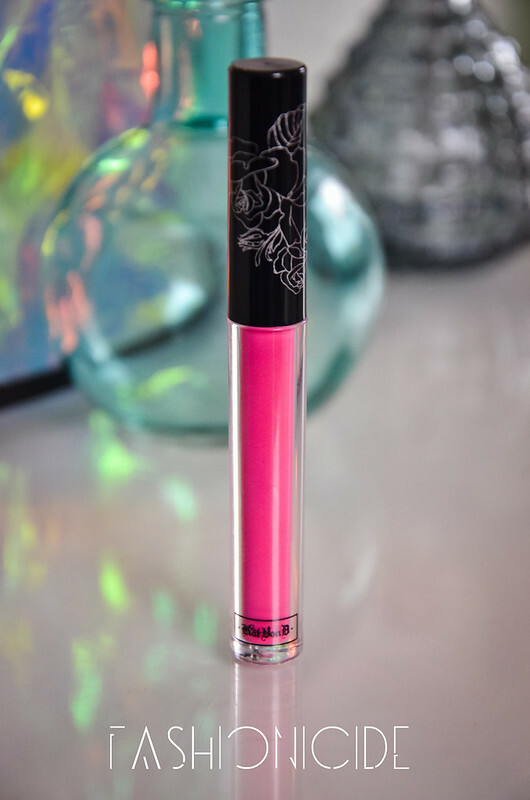 Kat Von D decribes 'Backstreet Bambi' as a vivid hot pink. To me, it screams of Barbie and makes me want to buy a pink convertible to drive to the beach and put on some pink rollerskates and skate by said beach in the sun. 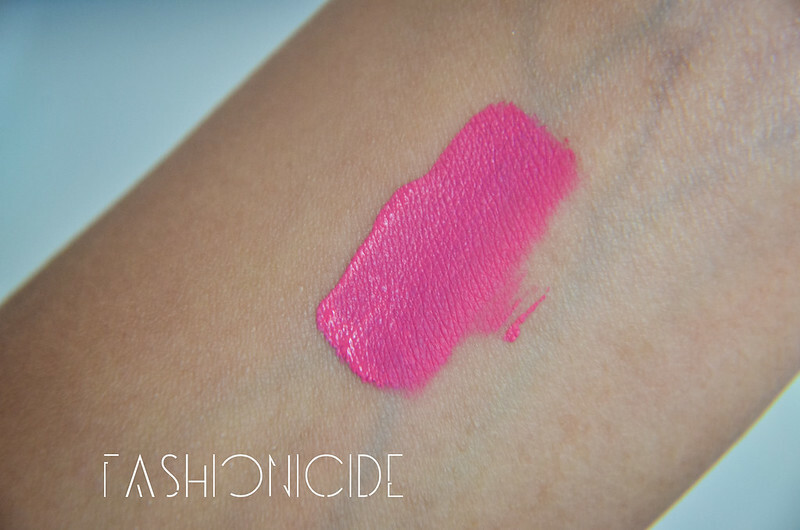 The formula is quite creamy, with a smooth application and opaque colour pay off. Everything I love about in a lipstick. Within seconds, it had dried to a matte finish. And wow, it didn't half dry. It accentuated flakes on my lips that I never knew existed, and felt like it sucked all of the moisture out of them. It does last just as well as any other liquid lipstick, but the flakiness just increased throughout the day until my lips felt like they were manufactured by Cadbury's. Despite how much I loved the colour - it's fun, girlie and HAWT - the flakes just made it unbearable. It actually hurt to see such a wondrous colour ruined by such a horrible formula. Anyway, on to the eyes next, I do love the whole 'tear' effect under the eyes. Despite how awesome it looks, it's ridiculously easy to achieve. I simply used the nail dotting tools I talked about in a previous post and my Inglot Gel Liners - oh how I cannot get enough of them! I have a huge backlog of posts to get through, which I will be attempting to work my way through over the next week or two. That way I can get back to concentrating on all of the new stuff that's been occupying my mind! 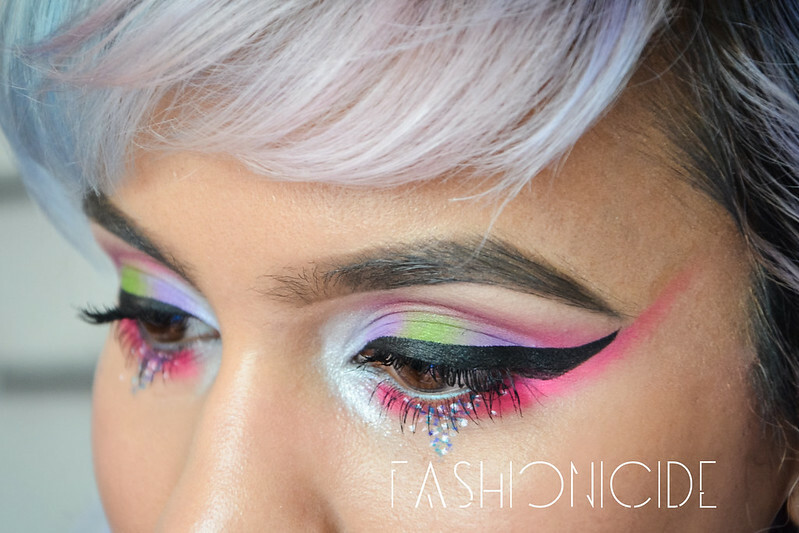 I just always come back to crush on your makeup - not that I'd ever be daring enough to attempt it on myself!